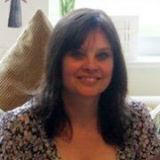 Alison Burt is our part-time administrator. Assisting the Ministry team, the Church Wardens and Treasurers by dealing with all routine administration and enquiries. opening our Church office - when she deals with enquiries about baptisms (christenings), weddings, etc. dealing with all contacts with the Church office including phone calls and emails. assisting with the arrangements for all services - including baptisms, weddings and funerals - as well as our regular Sunday services. Alison has been part of the congregation at St Peter’s since 1999, she has played an active part in the work of our churches including First Steps and St Peter’s Sunday School. Alison also assists with the baptism and marriage preparation sessions during the year as well at services at St Peter's church. Alison may be contacted at the Church Office via the Contact Us page.